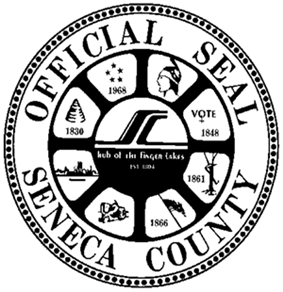 Seneca County is a county located in the U.S. state of New York. As of the 2010 census, the population was 35,251. The two county seats are Waterloo and Ovid. The name is from the Iroquois (Seneca) that occupied part of the region. In the years prior to 1776, most of the Loyalists in Tryon County fled to Sullivan Expedition conducted a scorched earth campaign against the Iroquois who sided with the Loyalists in the Revolutionary War. Sullivan's path destroyed Cayuga and Seneca villages along the east shore of Seneca Lake. According to the U.S. Census Bureau, the county has a total area of 391 square miles (1,010 km2), of which 325 square miles (840 km2) is land and 66 square miles (170 km2) (16.80%) is water. In the county the population was spread out with 24.80% under the age of 18, 7.50% from 18 to 24, 28.80% from 25 to 44, 23.80% from 45 to 64, and 15.10% who were 65 years of age or older. The median age was 38 years. For every 100 females there were 100.10 males. For every 100 females age 18 and over, there were 99.50 males. The County is governed by a fourteen-member Board of Supervisors.